Yolanda (Haiyan) Relief Operations by FPTI. 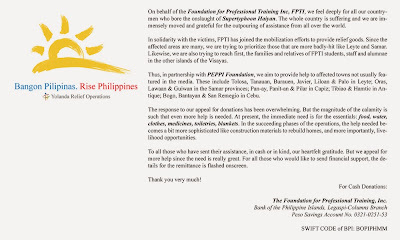 If you are looking for a more familiar group that is involved in the relief and rehabilitation operations for the Yolanda (Haiyan) victims, go to FPTI. Bangon Pilipinas. Rise Philippines. 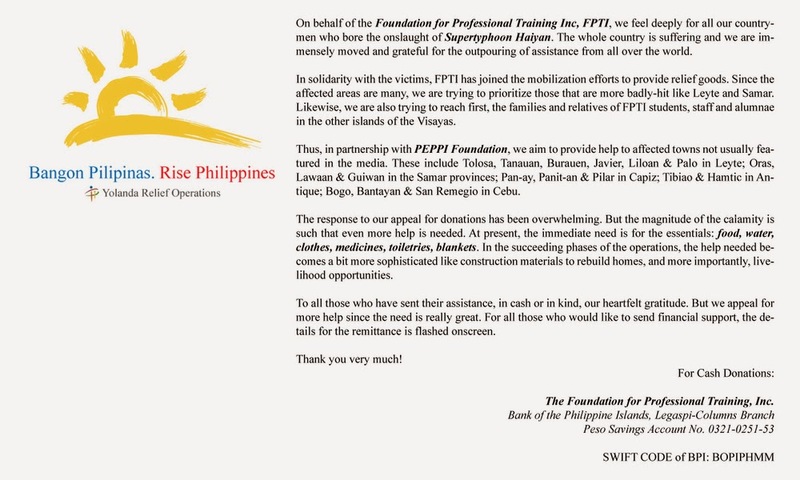 On the sidebar are videos posted on the Yolanda relief operations being done by FPTI. We post here FPTI's message. Click on the image below for a bigger view. You can also go directly to FPTI.